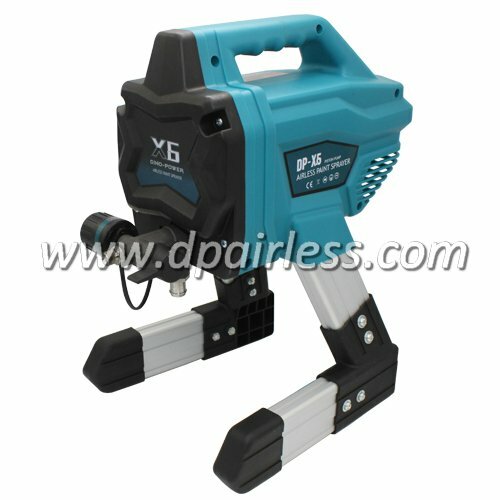 X-35 Heavy Duty Electric Airless Putty Sprayer is the upgraded model with long piston rod and low suction valve system. cement / lime based / floor epoxy / fireproofing / anti-corrosive paint / emulsions and fillings etc. 1. The LONG PISTON and low position of the inlet valve of the DP-6335i generates the suction power for high viscosity materials, such as putty / drywall mud / gypsum / white cement / lime based / floor epoxy / fireproofing / anti-corrosive paint / emulsions and fillings etc. 2. With the digital display you can read out and regulator the pressure easily. 3. The powerful DC motor works even more efficiently at low and also at high speed. 4. New angled cart design for one man loading and unloading. 5. Retractable telescopic handle for compact storage. 6. Fast change of the container and easy cleaning. I want to be your distributor in Japan. price of model x_35 shipped to Ireland.one only for testing first.